Book Posts - The Prince and the Dressmaker — Comic Art Ed! Intro: The Prince and the Dressmaker is about fashion, self-expression, and the creative spirit. Sebastian and Frances have dreams, but there are so many roadblocks in their way! Both these main characters have a hard time fitting into what society expects of them. This story is about overcoming hardship and prejudice in order to grow into the person you want to be. Story Summary: Frances wants to design dresses that push the limits of fashion, but no one gives her a chance. That is, until she meets Prince Sebastian, who is looking for someone to design clothing for him; and not just any clothing, but beautiful dresses! Sebastian's alter-ego, Lady Crystallia, starts to become a star! But is the attention good? Sebastian and Frances have to grapple with keeping their creative collaboration a secret, straining their relationship when the two start to want different things. Theme 1: Self-Expression. Being true to yourself is at the heart of The Prince and the Dressmaker. This theme is front and foremost with Sebastian's dresses which play with gender expression and offer a queer element to the story. There is also Frances' creative self-expression designing and constructing the garments. This theme also comes through in other ways, with characters overcoming shyness and expectations, and growing as the story progresses. Theme 2: Navigating Relationships. Characters throughout this graphic novel have to navigate their relationships with one another. Sebastian struggles with the expectations his parents place on him, feeling unable to tell them how he really feels. Frances has a wonderful collaboration with Sebastian, but when new people and opportunities come her way, she's torn. How can the characters be true to themselves, but not disappoint the people in their lives? Theme 3: Historical Fiction. The Prince and the Dressmaker takes place in the Paris summer at an unknown date centuries ago, perhaps around the mid-1800s. The setting is a luscious environment for a beautiful coming-of-age story. Handmade garments play a key role in the plot, but what is also happening historically is the beginning of department stores, which changed the landscape of society and its relationship with clothing. The historical setting is a fantastic element to a modern story about fashion, growth and acceptance. Should I Read It? : For readers who love fashion, historical fiction, and creativity, this is the graphic novel for you! 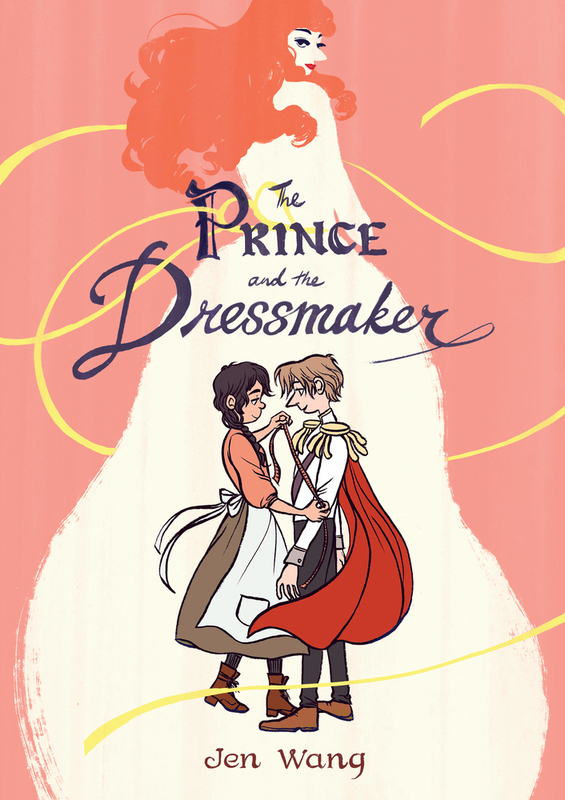 The Prince and the Dressmaker is a book about expression in all its possibilities, with queer and romantic elements throughout. A very fun and beautiful read, and a great graphic novel to have in a home, library or classroom.